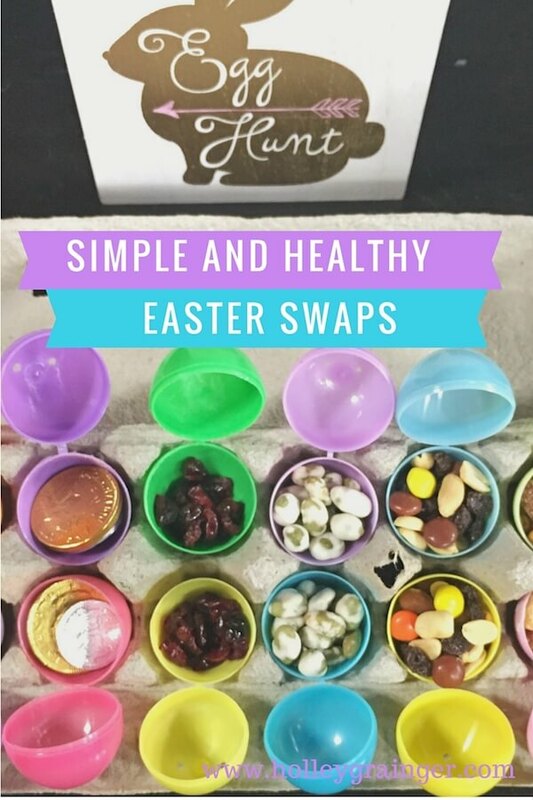 Below are a few of my favorite simple and healthy Easter swaps for making Easter baskets, recipes and treats better for you, easier, and certainly fun and delicious. High quality dark chocolate isn’t a bad thing at all and I’m not saying to forego some of your favorites. However, swap out “chocolate flavored candy” like this for nutrient-rich chocolate milk. 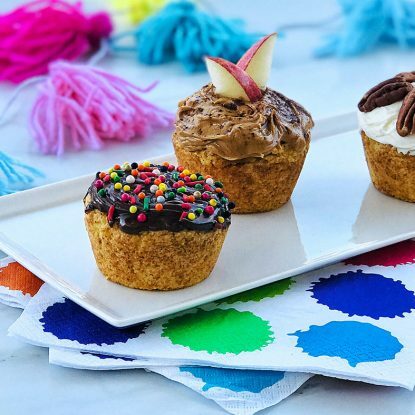 It’s packed with calcium, protein, and vitamin D. Kids love it and gives them that chocolate fix that they crave. 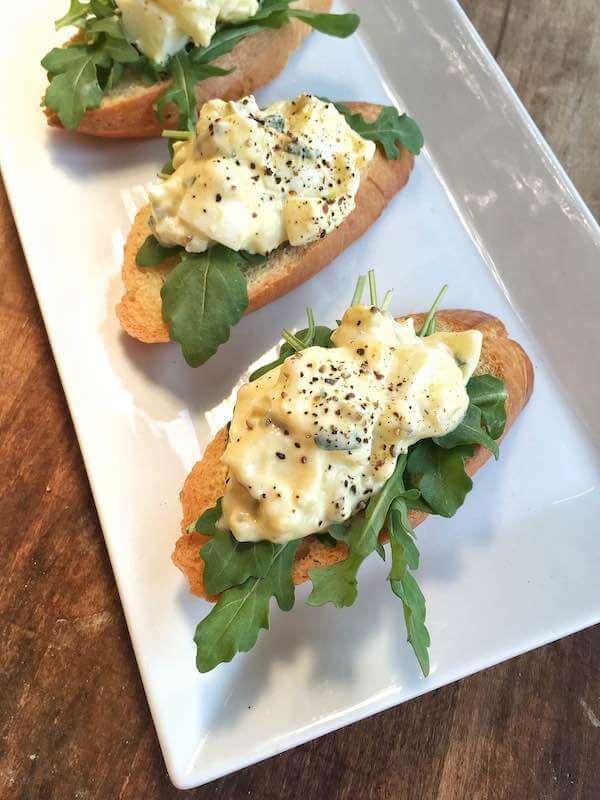 Swap plain Greek yogurt in place of mayo to boost the nutrition while keeping the creamy consistency of your favorite egg salad. Greek yogurt has on average 10 grams of protein per cup which is something that mayo can’t offer. 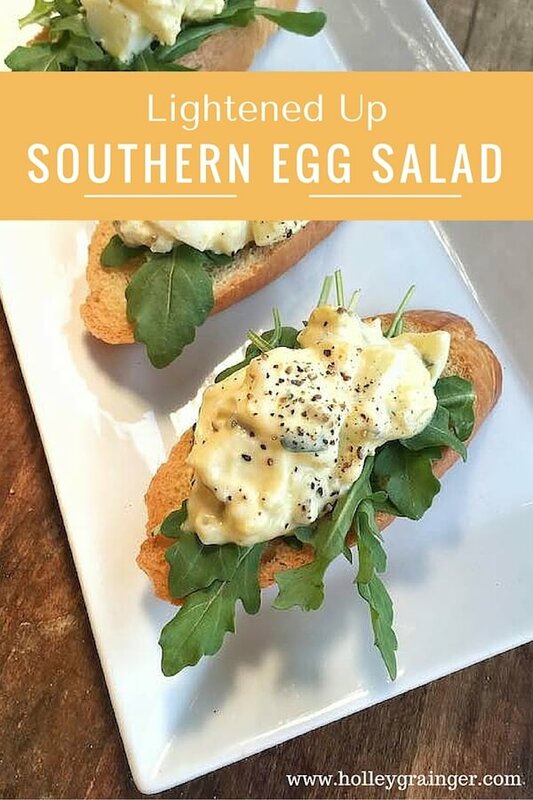 Serve my Lightened Up Southern Egg Salad as a crostini on arugula, stuffed in a sandwich, or as is with crackers or cucumber slices. 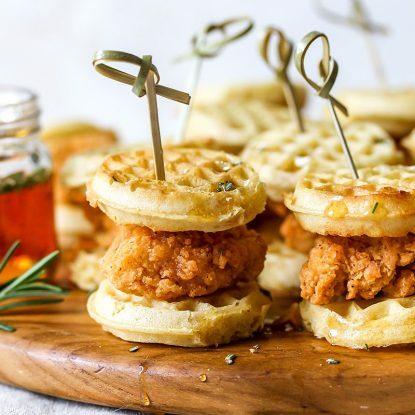 Skip the greasy, fatty pastries and jelly-filled donuts and choose delicious and flavor-packed whole wheat English muffin or scones with fruit preserves, fresh fruit, and a glass of milk for a beautiful and springy Easter morning menu. 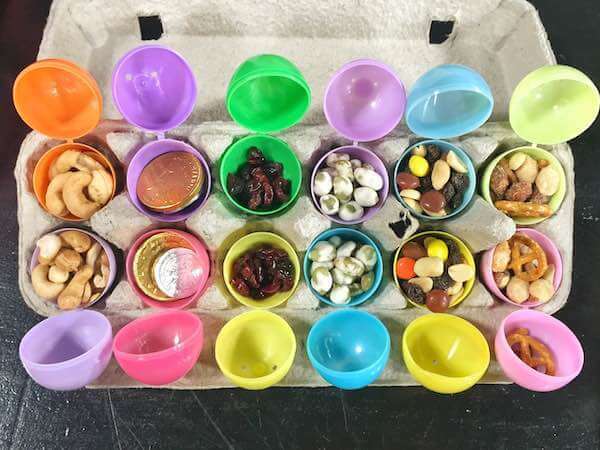 What do you stuff in your Easter eggs? 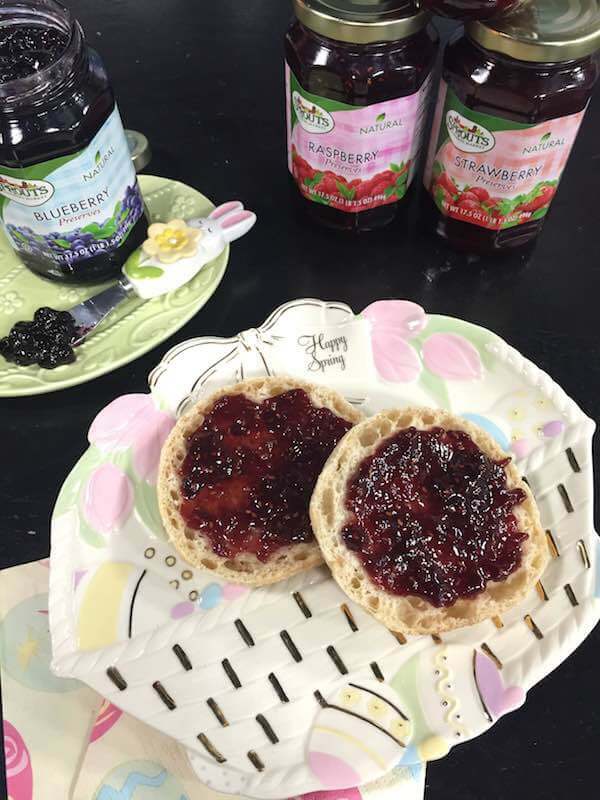 Scale down on the candy and try some of these fun ideas that I shared on TV yesterday. 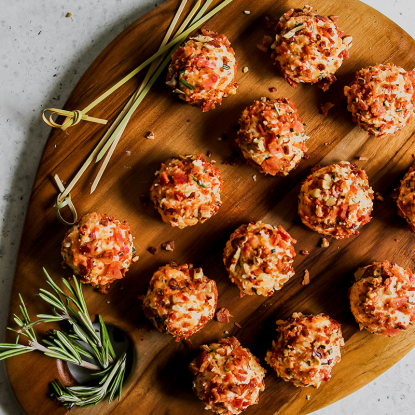 I hit the bulk bins at Sprouts Farmers Market to find almost all of these favorites. Best part was that I could buy exactly the amount I needed for a very low price. Dried cranberries, various trail mixes, wasabi peas, cashews, and more! 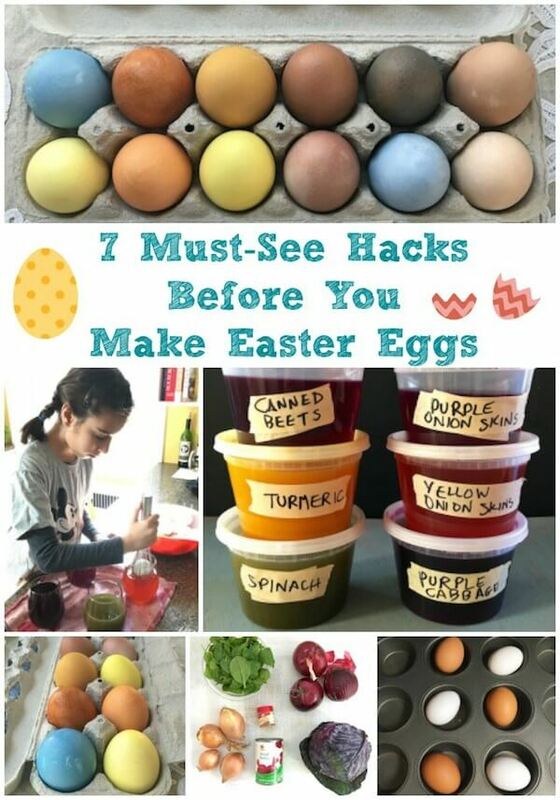 If you’re looking for more healthy Easter swaps, check out this fun hack roundup by Teaspoon of Spice, 7 Awesome Hacks for Making Easter Eggs, including how to make natural, chemical-free Easter egg dye (featured in this segment). I used vegetables and spices like red cabbage, beets and turmeric and coffee to naturally dye Easter eggs instead of the dye pellets. Check out my video above to hear more about my method. 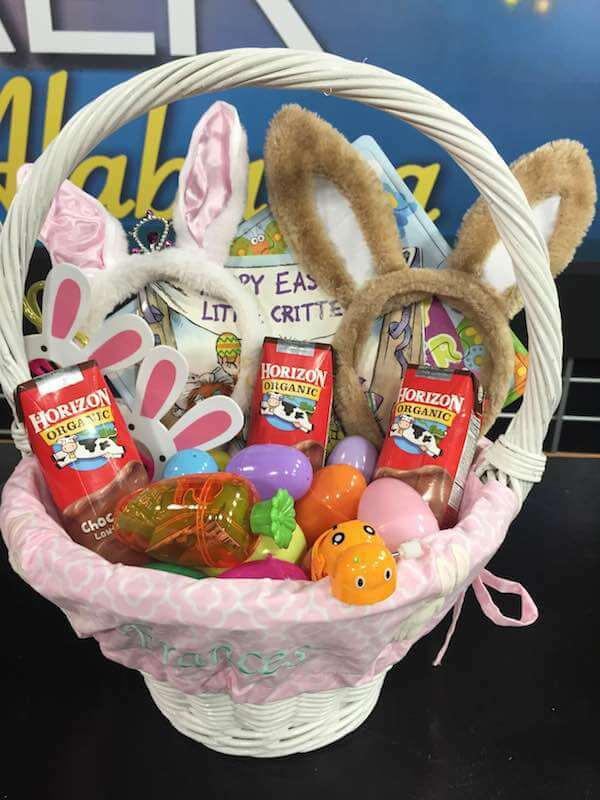 Do you have any favorite Easter swaps? Share them in the comments!